HomeFor ClientsAnalyticsForex Analysis & ForecastsForex Technical analysis and forecastsForex Technical Analysis 2010/11/17. 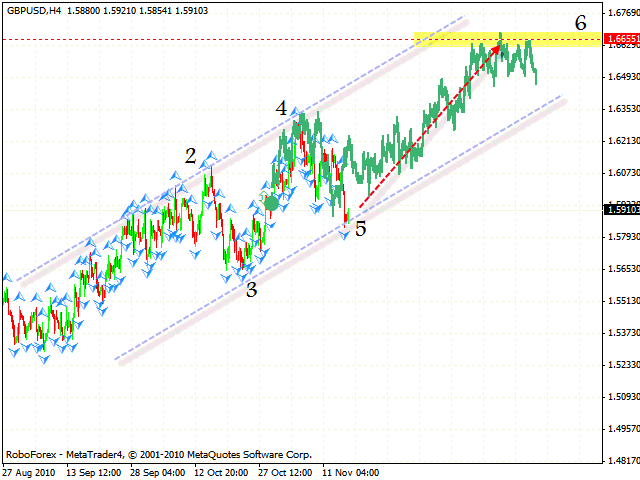 EUR/USD, GBP/USD, AUD/USD Forecast FX. Forex Technical Analysis 2010/11/17. 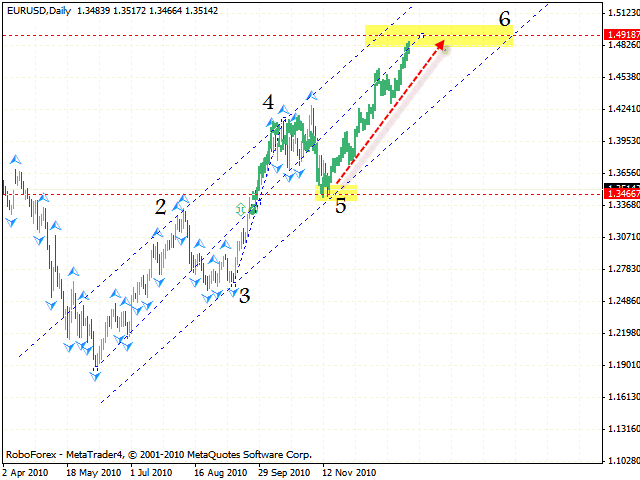 EUR/USD, GBP/USD, AUD/USD Forecast FX. According to eurusd analysis the price has reached the area where the 5th point of reference is formed and where we planned to open long-term long positions. At the moment we can see a divergence at the MCAD indicator at the H4 online forex trading chart, which is a very strong signal to buy the EUR/USD currency pair. The price is also testing the channel’s lower border outside the support level, we should expect the price to hit it and go back. One can try to buy the pair with the tight stop below local minimum. The target of the growth is the area of 1.4900.As an alternative scenario we can expect the price to be fixed outside the channel’s lower border. After breaking the “triangle” downwards, the GBP/USD currency pair has reached the level where the 5th point of reference is formed. As we can see by gbpusd forecast pound is also testing the lower border of the pattern’s rising channel with the target in the area of 1.6655. One should consider buying the pair with the tight stop. 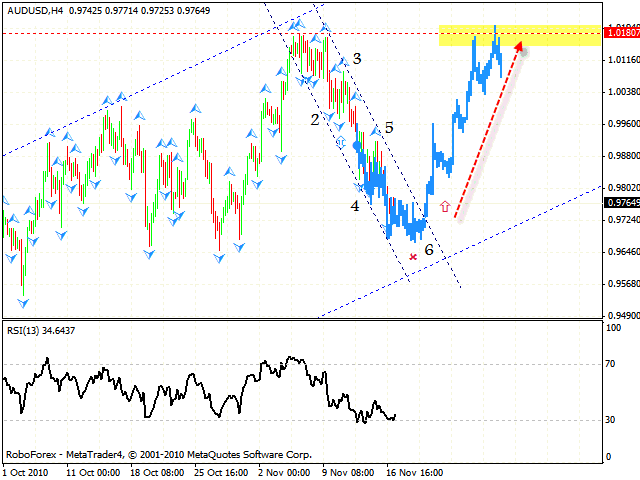 Australian Dollar has completely formed the descending pattern with the target in the area of 0.9738. After the prices leaves the channel borders one can try to buy the pair with the stop below 0.9720. According to aud usd analysis the target of the growth is the level of 1.0180.